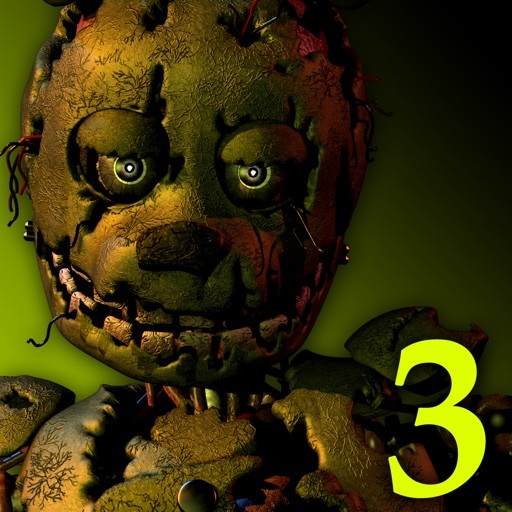 Five Nights at Freddy's 3 App Data & Review - Games - Apps Rankings! The applications Five Nights at Freddy's 3 was published in the category Games on 2015-03-12 and was developed by Scott Cawthon. The file size is 45.51 MB. The current version is 1.3 and works well on 5.1.1 and high ios versions. 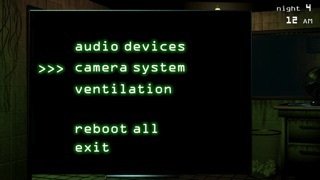 Added audio effects and bug fixes. Do you like Five Nights at Freddy's 3 applications? Please share! Well, first off I played these games when I was younger and I personally thought they were scary and this one isn’t that scary I like the jump scares and stuff, but honestly I like it so better than most people and the jump scares to sometimes I play this game and think to myself why am I playing this but all in all it’s, (in my opinion) worse than the other five nights at Freddy’s (FNAF), but I gave a five star because “Scott Cawthon” did a good job what so ever and honestly it’s not at Freddy faz bears pizza why did you call it that, well I know that it’s a series of games. I just started night five and I’m jumpscared by Springtrap. I start that night again and I’m jumpscared by Balloon boy, then Freddy after I rebooted the ventilation then I rebooted the ventilation again and Springtrap topped of a three in a row jumpscare at 12am... I haven’t even gotten to 1am or even 2am yet and I’m dead.... Scott, I love the games, I really do. I finished Fnaf one and two but that was a couple years ago and my progress was since accidentally deleted by the new game button.. which was my fault because I played too much of a game where to continue the game, the continue button was on top instead of on bottom.. which goes to show that I don’t pay attention a whole lot.. Anyways I’m planning to catch up all my data so that way I can move on to the fourth game. Right now I’m just playing games One, Two and Three in what ever order because like I said, I already beat one and two but I accidentally pushed the wrong button and deleted my progress because I wasn’t paying attention. I already did like the first and second nights of Sister Location just because i was super excited to finally play it. But if Springtrap could cool his jets on night five, especially the phantoms, they are on a rampage or something for maybe they’re just high.. I like the phantoms but seriously, I can only go so fast.. I don’t want my thumbs to fall off XD I got a good scare on night three because I had forgotten about the phantoms a little bit so when one came out of absolutely nowhere, I was pretty freaked out. Thank you for making these games Scott, and thank you for the Five Nights at Freddy’s books!! I am all caught up on them! Which speaking of the books, is another one going to be made? I’m just asking because personally, I feel like the story would continue. Anyways, thank you for reading this.. please slow Springtrap and the phantoms down by at least a second to I can keep from worrying about if my thumbs are going to fall off XD Or at least the timings of their jumpscares cause they cut it a little too close In my opinion. Have a wonderful day! 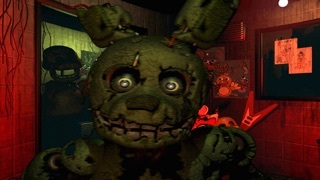 Or night... depending on when you see this..
Scott I really like this game but I think the phantom animatronics should be different and not be phantoms because I want them to be real and actually kill you because I don’t just want spring trap killing you but anyway I do really like this game and it’s the only one I actually get scared apart from fanf 4 because I don’t play that one and also I’m up to nightmare mode. This game is actually really easy unless foxy messes you up. All you really have to do is shut the vents on CAM 14 and keep Springy on CAMs 9 and 10. If a phantom comes, then, you’re basically screwed. 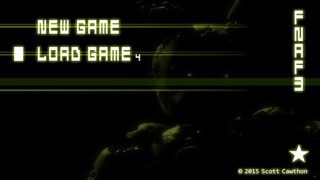 I love this game it is my first favorite FNaF game ever!!!!!! This entry in the series has been one of my favorites, and I’m pleased with how Scott actually put effort into updating and fixing issues with this game. Wish he had considered the same thing for the other releases. I LOVE IT! But... one thing is, On night 2, it was as hard as like, night 4. So this will tell everyone that it is a little difficult on night 2. But over all, it was like 😃😄😱😱😱🤯😃😃😃!!! “SO GOOD!” 🧟‍♂️ in 🐰-suit, SO COOL! Oh and, if this gets sent to the fanf making company, please make the rest of the games on ALL devices. 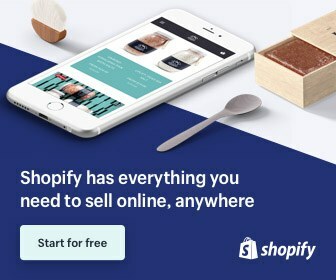 Including iPad, iPhone, and kindle. PLZ! But really, L.O.V.E THIS GAME!!! I love Five nights at Freddy’s 3 but I stink at the 5 night. I still love the game but I wish I could beat the game. Please make an update that we can have a Freddy fazbear mask.you. 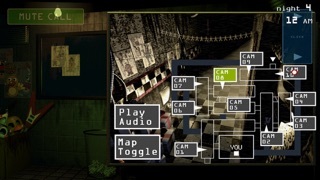 Can now close the door.you can close the vent door.all the things you can do in the first five nights at Freddy’s But I still like it. I am a HUGE fan of the Five Nights at Freddy's franchise and have been with it forever, however I found it wasn't QUITE as scary as the last two. Leaving the 2nd one my favourite. Its an amazing game just like the others but it lacks the scares the other two did. I still admire Scott and the series all the same! Keep up the good work! OMG I love this game even though there is only one animatronic and the others are hallucinations it's still very intense! In my opinion it's the best game on the iPad and PC if you have 2.99,like being scared and time to spend its worth you're money well done Scott!